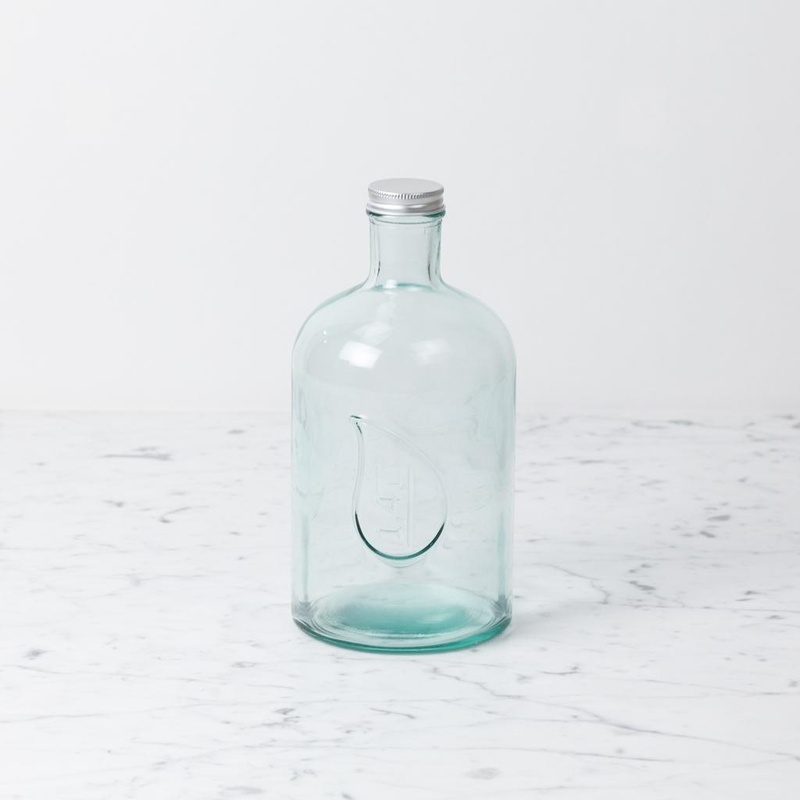 The brilliant applications for this pretty pale blue recycled glass bottle (with its watertight screw top and subtle apothecary vibes) are practically endless. Keep water or seltzer cool in the fridge (add a stick of our Binchotan charcoal and you have yourself a "filtration system"). Decant wine—from a good bottle or even just a nice box—and bring to table. Add some mint or lemon and use it to make infusions. Bring lemonade to a picnic. Store your vinegar shrub. Add a few long stemmed blooms and it's a vase. 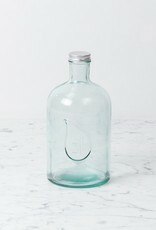 A bedside decanter for the clumsy/seriously thirsty (or for those whose cats get curious around water glasses...TMI?). Make a batch of Fire Cider. Basically, it's a simple, lovely, streamlined essential. Holds 1.4 liters.